Startup jobs in Boston, tech jobs & internships, and an extensive list of hiring startups with info on their industry & product. 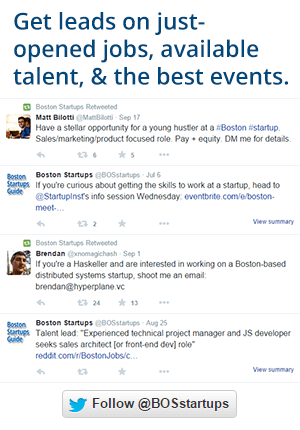 Search for Boston startup jobs by title, industry, or other keywords. Hiring? Add a job post here.